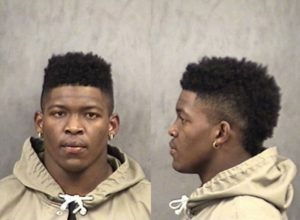 According to Missourinet affiliate KTGR, Mizzou’s star running back freshman Damarea Crockett was caught with less than 35 grams of marijuana early Sunday morning in a campus parking lot, then released on summons. Crockett ran for 226 yards in the loss at Tennessee on Saturday. He is already Mizzou’s all-time record holder for freshman rushing yards and touchdowns. The Tigers host Arkansas on Friday. MUPD officers arrested Crockett at 4:43 a.m. after they found him in a car with other people. Major Brian Weimer said Crockett was the only one accused of having marijuana, so he was the only person arrested. Barry Odom held an already scheduled media Q & A and discussed the Crockett suspension.